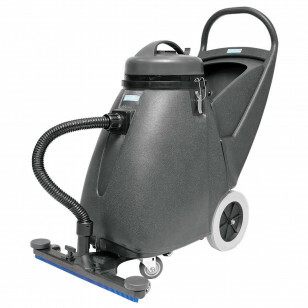 This Trusted Clean floor stripping recovery vacuum does a great job of recovering floor stripper and other wet materials. 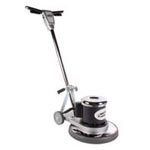 It is the ultimate tool for floor stripping and refinishing professionals. Floor wax slurry does not stand a chance! You can recover solution by the front mount squeegee or by the included tool kit. You can have complete confidence in this machine, because it comes backed by an industry leading 8 year warranty on the housing, 3 years on parts, 2 years on labor & 180 days for travel. You no longer have to worry when stripping floors, recovering debris, and doing flood restoration work. The vacuum motor iis guaranteed to be free of defects, but this does not cover overfilling the machine or sucking foam through the motor. The machine does have a float shut off that shuts the machine down when it fills up, but we always recommend using a defoamer when running this machine. If this is not the exact machine you need for your job, please feel free to take a look at our full line of high efficiency floor finish removal tools for other options. Recovers any type of liquid - stripper, slurry, water, etc. Tool kit can be used to recover liquid from any area. Industry leading warranty - 8 years on the housing, 3 years on parts, 2 years on labor & 180 days for travel. 18 gallon solution tank with rear dump hose.